Feast your eyes on the cutest makeup collection ever! 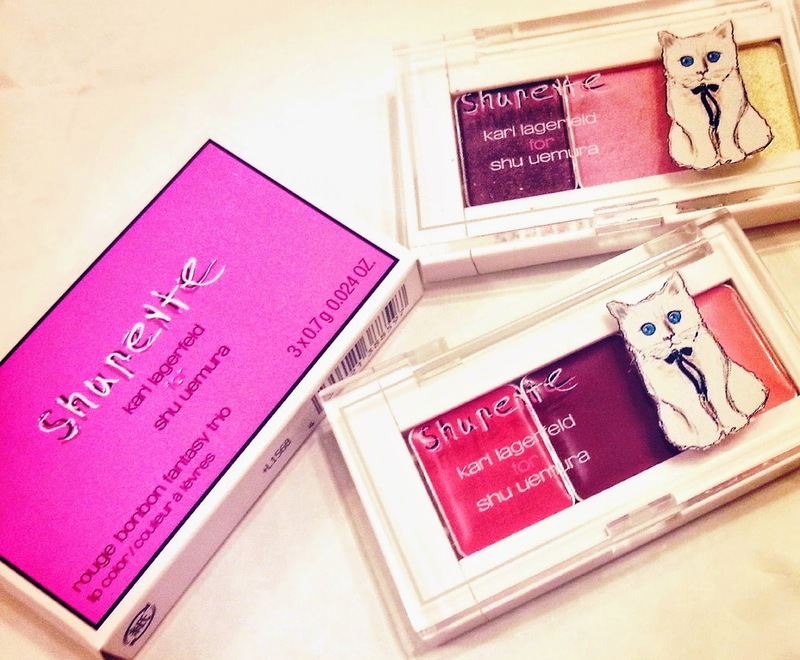 Shupette is a collaboration between Karl Lagerfeld and Shu Uemura, based on Karl's cat - Choupette. The limited edition collection is very cute - lots of pink! - and there are some feline-inspired items too including a blue-toned eyeshadow trio, inspired by Choupette's bright, blue eyes, and false lashes embellished with tiny crystals and feathers. This is Karl Lagerfeld's second collection for Shu Uemura, after collaborating with them in 2012. He has been known to use Shu Uemura make-up to illustrate the drawings for his own designs, and Choupette is said to be one of the most spoilt celebrity pets, currently boasting around 37,000 Twitter followers, so it is the perfect match! I recently picked up a few bits from the collection; Shupette's flair eyelash curler (£20), Eye-need eyeshadow trio (£30) and Rouge bonbon fantasy lip trio (£30). The packaging is adorable and the lip trio comes in the sweetest shades. Everything is highly pigmented and super glossy - perfect for me as I wear pink lipstick every day. I love the size of the palettes as they are so tiny you can pop them in your back and take them every where with you. The lip trio comes in two different shades - this one has slightly brighter shades whereas the second option has softer pink hues. This eyeshadow trio is also super cute and the colours go perfectly together. 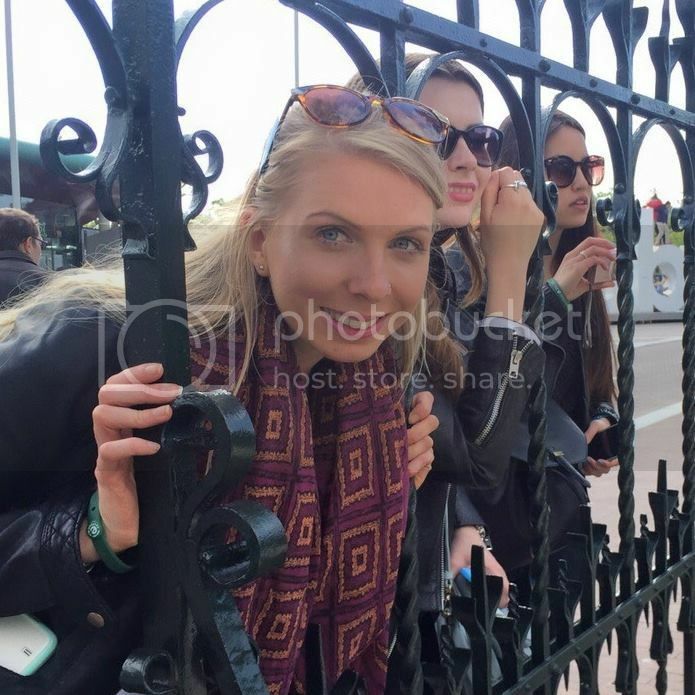 The bronzey gold shade is much more pigmented whereas the gold and pink are softer and more for highlighting. The limited edition Shupette collection is available from Selfridges - I recommend you check it out online as some of the products are just so adorable! What do you think of the new Karl Lagerfeld collaboration? Have you bought anything from the collection yet?